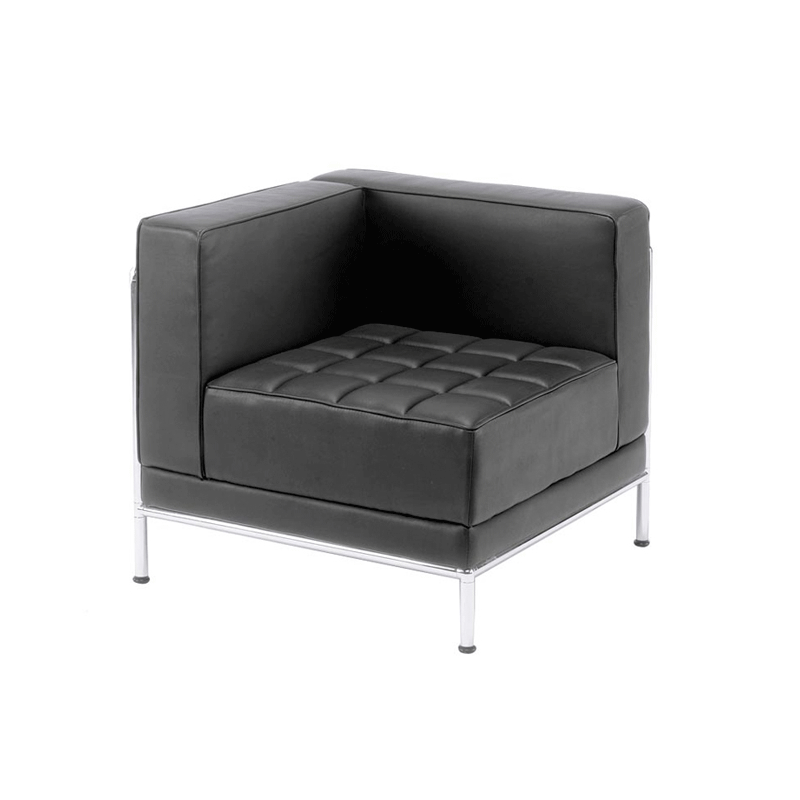 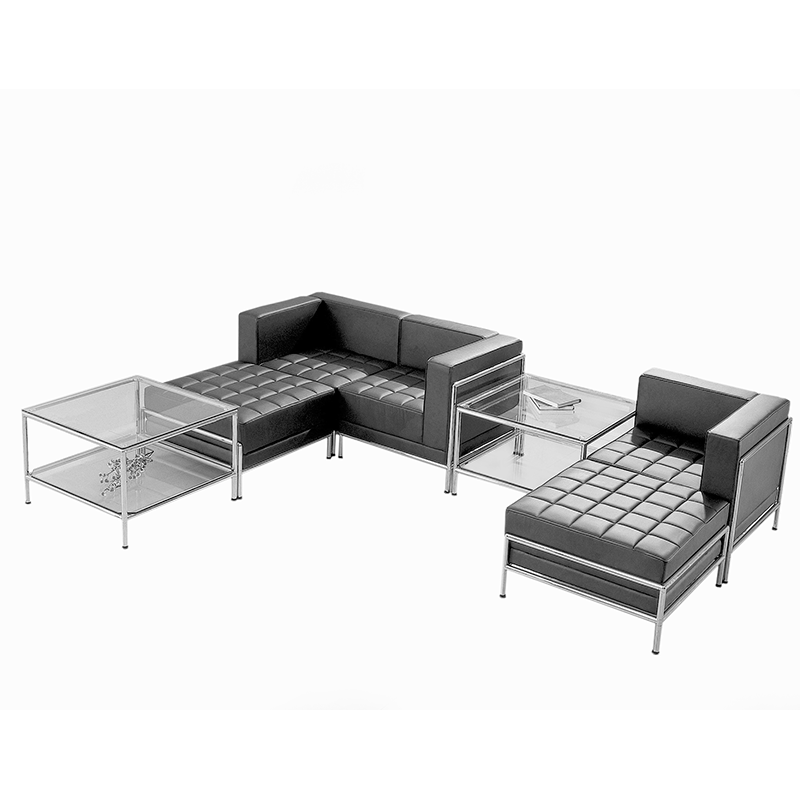 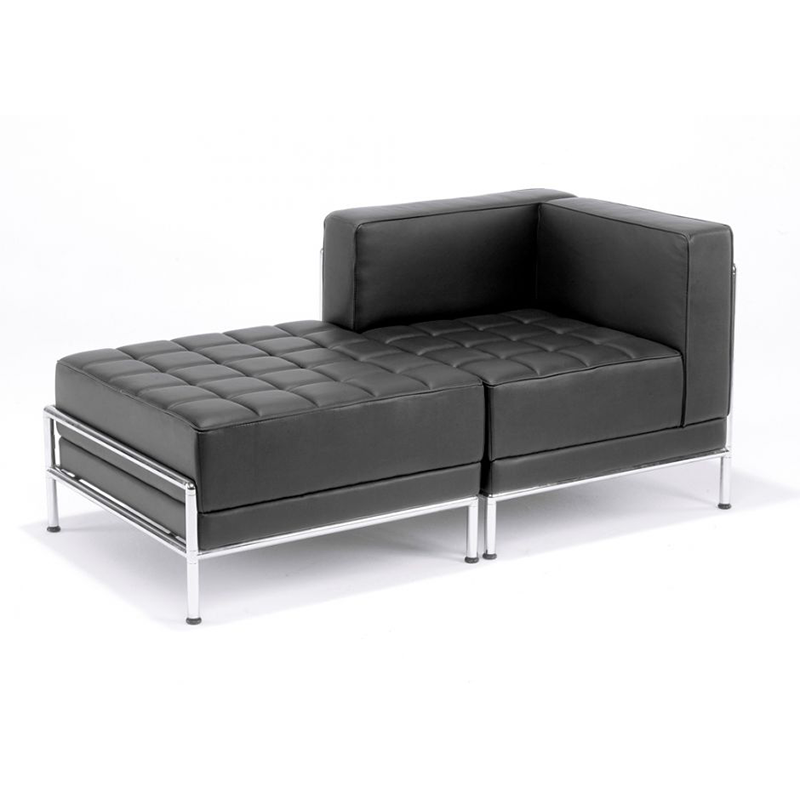 Black leather flexible modular reception seating. 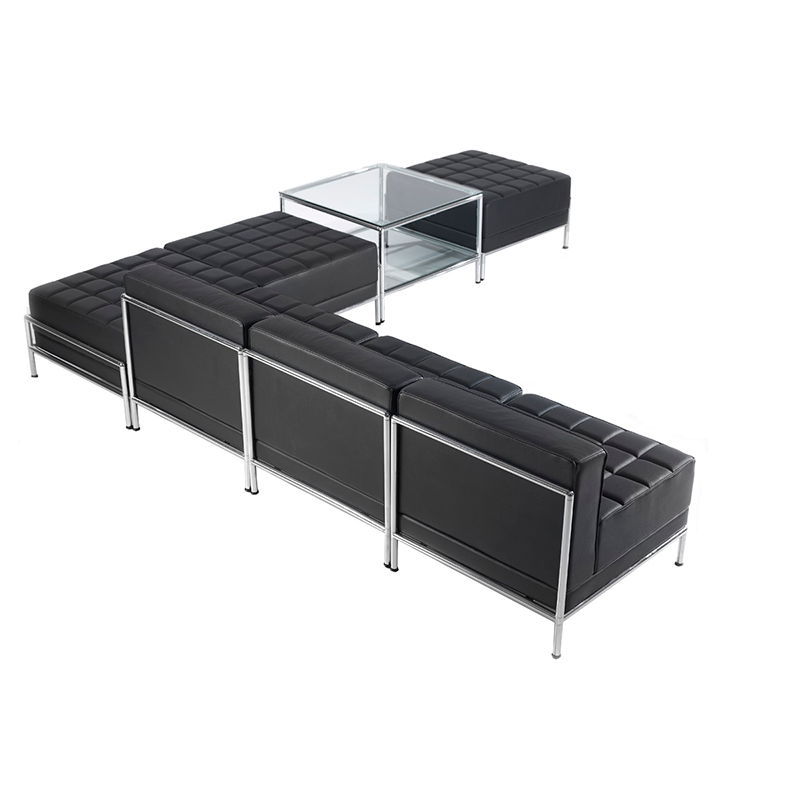 Made up of 4 sections - centre, pouffe, left and right corners. Ideal at exhibitions and reception areas. Discounts available for large quantities. 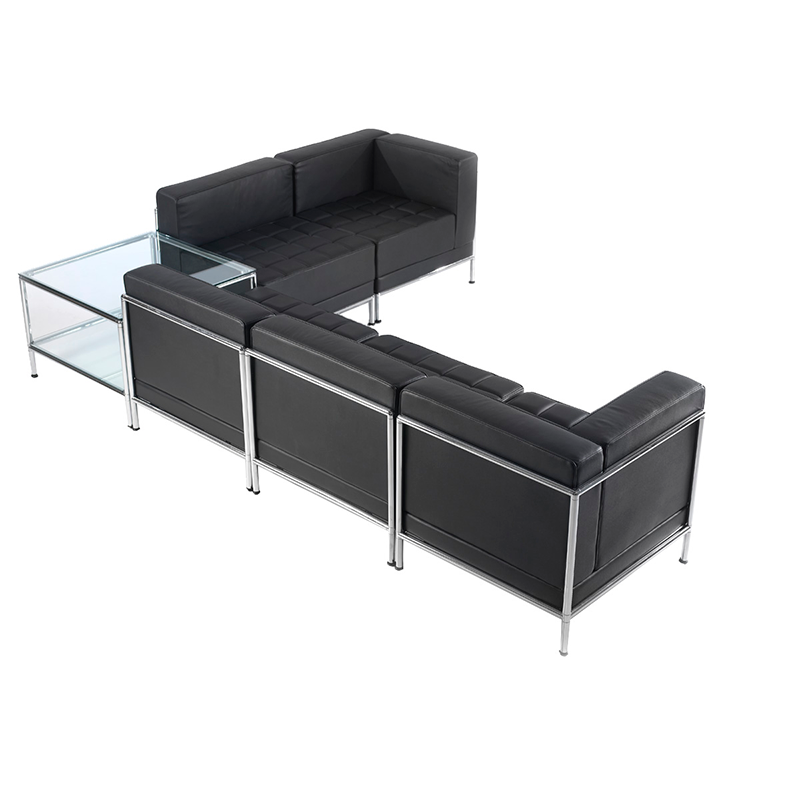 Black leather flexible modular reception seating. Made up of 4 sections - centre, pouffe, left and r..